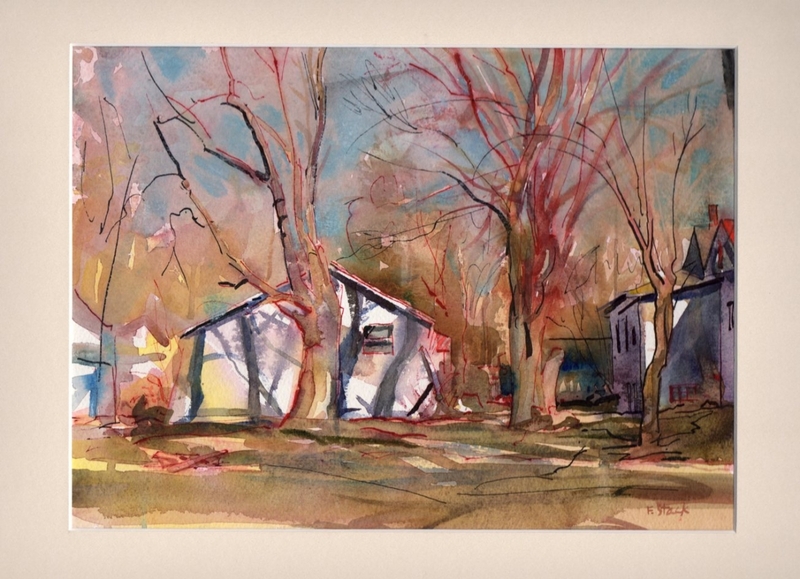 This plein air landscape watercolor which depicts houses in the artist's home town in the mid-west, was painted on a sunny day in winter. The artist represents beautifully the effects of light and atmosphere on a sunny winter's day in this striking impressionist style painting, and using his trademark pen-and-ink he is able to capture the starkness of the largely leafless trees. The artwork is already matted and ready for framing.